We all realise that recent years have brought an amazing progress to the field of aromatherapy making it more of an ‘aroma-medicine’ rather than ‘relaxing’ or ‘pampering’ therapy of the past. Gone are the days of blending with ‘top’, ‘middle’ and ‘base’. Essential oils are no longer seen as having dozens of therapeutic properties, each of which we are meant to memorize. The medicinal qualities and uses of individual oils are better understood nowadays as a result of scientific research. Those who trained some time ago may be unfamiliar with the new perspectives. It is however daunting and not always easy to ‘catch up’ on our own… There are not that many books or aromatherapy conferences presenting the subject at the current level, research is difficult to find and either expensive to access or worded in a too scientific language… Often what we need to keep us on track some structured interaction with the tutor and fellow therapists to make the process easier and most importantly enjoyable. Feedback from our aromatherapy workshops confirm that many aromatherapists feel that they have got somehow stuck ‘back in time’ and would have loved to train in this subject now, in the days of clinical science based aromatherapy. Well now you have the opportunity to do so……we have developed a refresher course like no other, which enables you to revisit the core elements of the training with current facts. No exams! No case studies! No massage! Just wall to wall information! It offers you both the chance to refresh and update your knowledge and also to rekindle your passion for subject, fill in the gaps and to grow further. It will also strengthen the foundations for fuller understanding of the many advanced workshops we have available and offers an easier path for those who wish to take their aromatherapy studies further. This comprehensive 8-day essential oil therapy refresher course offers you a unique opportunity to take a leap into the 21st century aromatherapy – clinical aroma-medicine! During the course we will re-examine the basics and build on them to bring ourselves upto speed with the current knowledge and understanding of aromatherapy. To achieve this we will revisit the core aspects of aromatherapy training:- from methods of application, in depth profiles of 60 essential and a wide range of vegetable oils, basic science and modern therapeutic blending approach to research based information. There has never been a better time to be an aromatherapist. Aromatherapy of the 21st century is more credible than ever! During the last two decades many fantastic scientific discoveries have been brought to the field of aromatherapy. A better understanding of the therapeutic properties of oils and their chemical constituents enables us to have an accurate understanding of which conditions each of the oils is best for? We can now focus on the principal therapeutic properties and fewer conditions, making practice simpler yet potentially more beneficial. Scientific Synergy – within the oil and within the blend! Blending of essential oil for therapeutic application based on their composition rather than restrictive perfumery ‘notes’ system. Non-massage applications are gaining popularity and changing aromatherapy practice – use them in your practice too! Understanding of how aromatherapy works on emotional level is now based on science! This is a flexible course – you are welcome to attend it all or pick and choose sections that interest you most! No exam and no case studies! No pressure – just information in simple-to-understand language, new skills and professional development! The basics of modern aromatherapy – the myths, the media, the high street versus the real thing! Connect to the sources of oils – Why and how do plants produce essential and fixed oils? In search of the oils – seeds, rhizomes, flowers, etc. – where are the oils stored? Classification of plants – how to use this knowledge and why is it ‘a must’ for a professional aromatherapist? Whole day – AROMATHERAPY FIELD TRIP – KEW GARDENS!! How to get the most of your oils – buying oils, storing oils, etc – crucial to the successful practice! 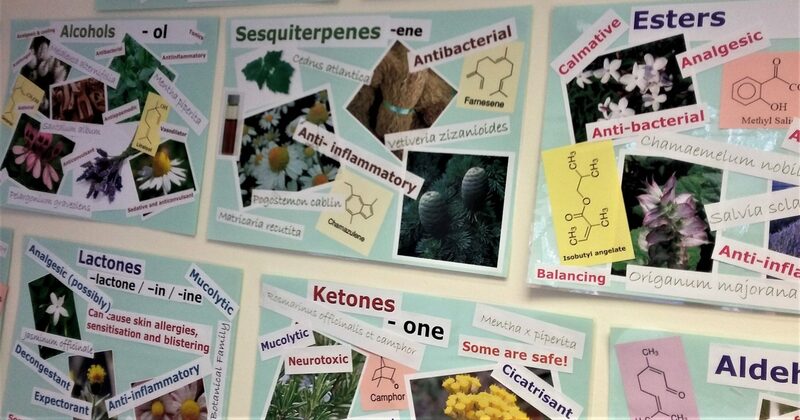 Types/groups of chemical constituents common in essential oils – terpenes, alcohols, phenols, aldehydes, etc–learning what is what? Therapeutic properties – science based approach – how does it work and why? Essential oils and chemotypes – a key to success! You simply must know them! The all-important ratios – how to work them out – and staying safe. The ‘connection’ between the chemical composition of essential oils and therapeutic blending – how to get it right?! And many other secrets of a Pro. 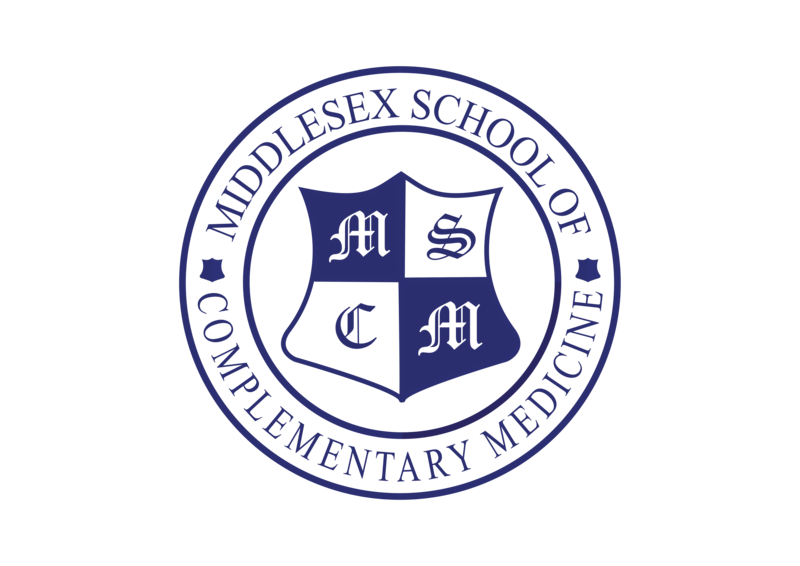 This special course is the ultimate refresher course for those already qualified in Aromatherapy. It will be beneficial to those who trained some time ago, those who haven`t been in practice for a while and who want to bring their knowledge upto date or those who’s previous training was at a more basic level. The workshop will be largely practical in content and you will be required to wear appropriate clinic workwear for the duration of the course. During the practical bodywork sessions you will practise on each other under the supervision of the tutor who will offer guidance and feedback. The use of Complementary Therapies for clients suffering from Cancer is becoming more and more the norm than the exception. With current epidemiology suggesting that 4 in 10 people will experience cancer during their lifetime and the number of newly diagnosed cases in adults over the age of 50 doubling every decade, more and more therapists will work with clients who have, or have recovered from cancer. This workshop is a must for all aromatherapists working with cancer patients! It will demonstrate – based on a variety of research – the most up to date findings relating to the role of aromatherapy and essential oils in both – cancer prevention and cancer care. We do know that aromatherapy can improve the quality of life of a cancer sufferer –and helping reduce the side effects of cancer treatments as well as offering emotional support. However, did you know that research shows that some patients treated with essential oils alongside allopathic treatment have a dramatically improved prognosis? Some essential oils also show very promising selective cancer cells elimination properties – something that no chemotherapy can do as yet! We will discuss all possible aspects of aromatherapy for cancer care – from the simplest and seemingly obvious to completely new and revolutionary solutions! As a Complementary Practitioner, it is vital to be fully educated and trained before working on anyone who has cancer. 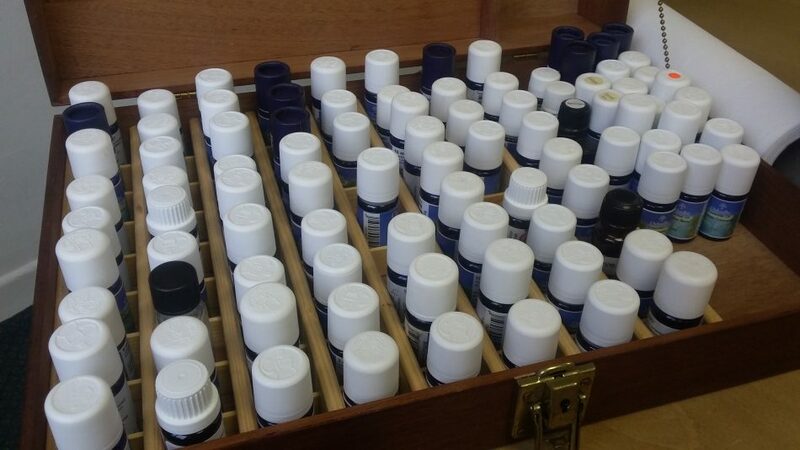 Common and unusual essential oils specifically useful for cancer care – what and why – what is a must for our aromatic onco-tool box…? Design methods and recipes for cancer care related problems – hand-foot syndrome, oedema, neurotoxicity, hematologic toxicity, loss of appetite, skin problems, alopecia, wounds and burns, sores and ulcers (inc. mouth cavity), nausea, fatigue, etc. PLEASE NOTE: If you are an aromatherapist who uses massage as the primary application, we strongly advise that you consider completing the Oncology Massage Practitioner Diploma as the Aromatherapy in Cancer Care workshop focuses purely on essential oils and not on massage adaptation.